We all know that if you want financial freedom in your life then you should have a good and clean credit record. South Africa is being seen as a debt based society and therefore can you only be on top of your game if you have a good credit score. The best solution to a bad credit score is credit repair. 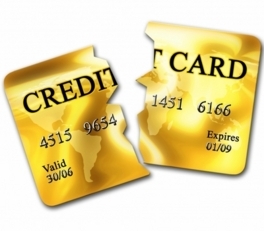 In this article will I explain the seven biggest misconceptions when it comes to repairing your credit. 1) Obtaining your annual free credit report is the same as buying one from the credit bureaus. Unfortunately is this not true. In South Africa we can only get a flash card of our credit report for free once a year. This is only a summary of what is going on in your report. If you want to see exactly what’s going on in your report then you will have to purchase one from the credit bureaus. 2) You only have to remove inaccuracies from the report in order to repair your credit. This is one of the most common misconceptions that South African consumers have. If you decide to request a validation on any dispute on your report, and the creditor cannot validate the dispute, then they have to take that judgment of the report. It does not matter if you owe them or not. Remember you do not have to show remorse, they have to follow lawful regulations. You have to demand that they take that judgement of from your credit report. 3) It is the same to dispute items by mail as it is online. I would suggest that you enquire about disputes by mail and not online. The reason for this is simple, by using the mail; you can keep records of all the correspondence. If you use the internet, then you do not have all the necessary correspondence proof which you will need if there are any complaints. 4) Paying of all of your outstanding accounts is an easy way to improve your credit score. You have to know that by paying off your outstanding accounts can actually damage your credit status. They will update your report on the date of the first payment. On the other hand should you consider repaying the debts if you are planning on applying for a mortgage. The lenders would rather want to see paid collections than a bad credit score. 5) By disputing an account, there are not any specific mailing procedures to take. It is important that you know that you should always post with a certified mail reply receipt, if you are posting it to a physical address. You need to keep all of those receipts in order to document the process. 6) The credit repair process is simple and easy. We all would have like if the process was as simple as it seems to be. It is of utmost importance that you know that this process will take time. Patience is key factor when it comes to repairing your credit. People should be aware of these misconceptions which are mostly advertised by main stream media and it is of utmost importance that you educate yourself on the matter. You should be prepared to read a lot and not be misguided by the masses. Armed with this information will help you to avoid some of the many pitfalls which can come your way when you are busy to repair your credit.